Welcome to episode 99 of the podcast; a shorter, more concise episode this time out. Why? because your time is valuable and we care and it was definitely not because we were a little wiped out by time we recorded this week, because there’s no reason to be wiped out trying to make a living and raise a family and live life. Nope. 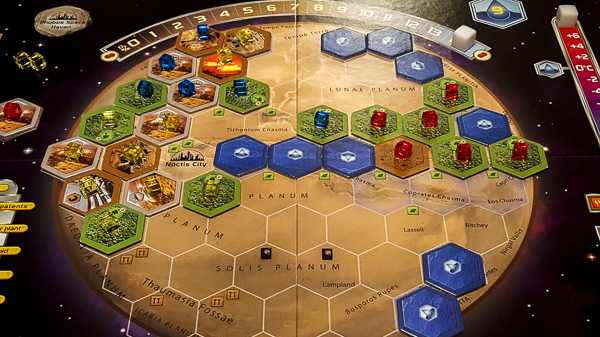 Anyway, we have a Terraforming Mars session report along with an in-depth discussion on Haspelknecht. 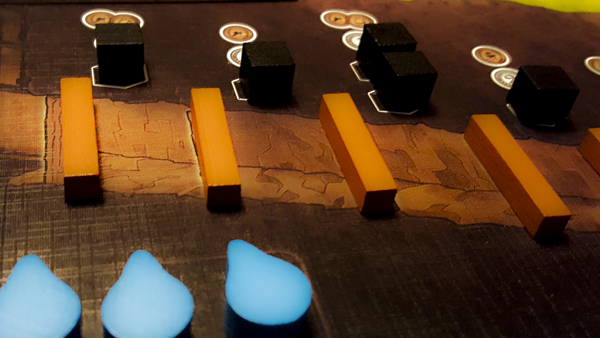 And some first impressions of A Feast for Odin to boot. All in about 90 minutes. You’re welcome. If you’ve ever been to the races, you may have seen a race where one of the horses goes off slowly. He doesn’t stumble out of the gate; rather, he lollygags, taking in the sights, smelling the fresh cut of the infield, letting the pack get a dozen or so lengths ahead for the first part of the race. After a bit of this our boy decides to kick it into gear so he can see what all the fuss is about at the front of the pack. With luck he gets there before the race is done. Well, this is kinda what we do in episode 98. We kick things off with one of our new-ish segments, which isn’t fine-tuned to our usual perfection (ahem). But we soon catch up and start plowing through the field, challenging for the lead until the end. You can tell us if we’ve won or not. 29:19 — This Hobby’s Done! No It Isn’t! Yes It Is!, No! 31:39 — (a diverion) Doctors!